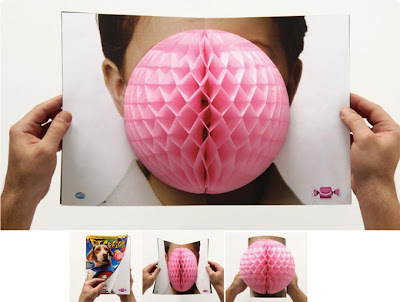 This Ad for Arcor bubble gum ad done by Leo Burnett in Sao Paulo. I used to have Thanksgiving and Halloween decorations made with this stuff. I loved them. Such a strange and captivating material. A very clever way to put it to use. « Sweet Misery	» Do you like it RAW?